Striped arrays are accessible to almost everybody ( we're focusing on PCs with Windows). Windows offers a software solution, and many motherboards support RAID arrays. Some boards, like the Gigabyte Ep45-ED3P ( a mobo based on Intel's P45 chipset ), have multiple options for hard drive setups due to the inclusion of their own controller ( Gigabyte SATA2 Chip ). If one is running the aforementioned motherboard, that provides one with three options for RAID 0, and that is not including buying a stand-alone RAID card. Naturally, one would ask one's self, "Which will offer the best performance?". 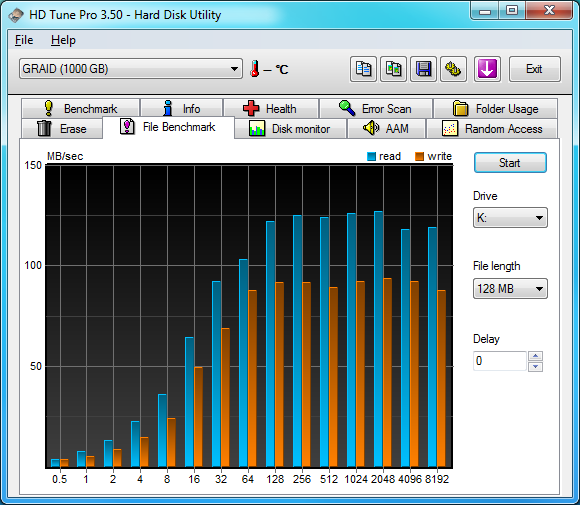 The arrays were synthetically tested with HD Tune Pro 3.5. The first test is the HD Tune 'Benchmark' for transfer rates, access times, and bursts rates. NOTE: The Windows striped dynamic volume is not available for the HD Tune tests. The RAID 0 array on Intel ICH10 had an average transfer rate almost double that of a single drive. The Gigabyte SATA2 Chip benched slower, at 83% of the Intel chipset. 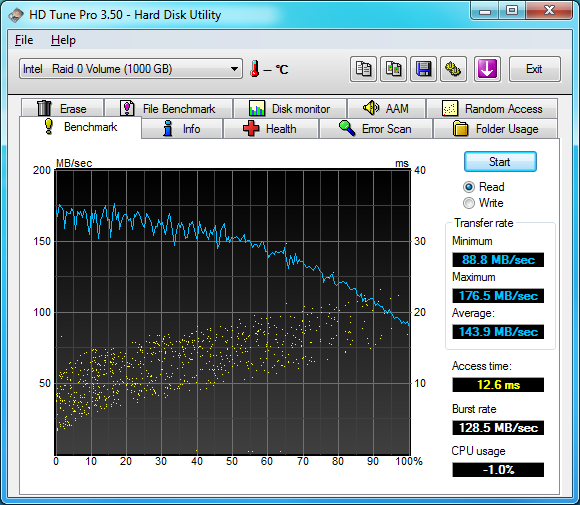 The next test was HD Tune's 'File Benchmark'. This is a more practical test, as it simulates reading and writing files. The Intel ICH10 was about 80% faster on write speeds than the single drive, and the Gigabyte was 25% faster. The read rates were even more revealing, with the Intel array at about 55% faster, and the Gigabyte array coming in slower at around -5%. This test was performed a few times along with the 'benchmark' test on write mode, and each time the Gigabyte SATA2 Chip performed extremely poorly -- in the above case, the single drive was faster than the Gigabyte striped array! Finally, the arrays were subjected to a simple copy/paste of about 8 gigs of data from and to themselves. There are probably a ton of parameters at play in this situation, but the only variable is the hard drive controller. The Windows 7 striped dynamic volume was included in this test. Running the RAID 0 array purely through Windows provided the same performance than the hardware controlled Intel ICH10 array. The Gigabyte SATA2 Chip based striped array performed poorly in comparison. 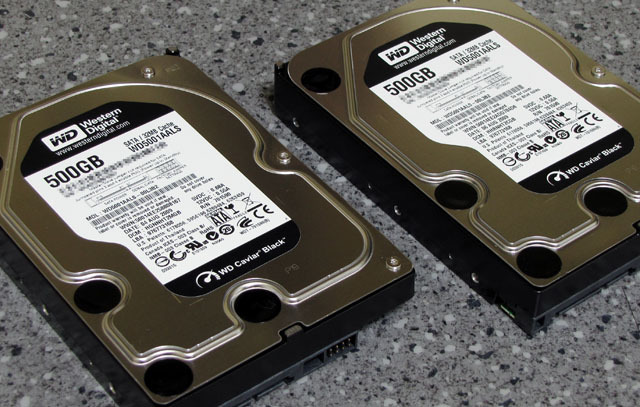 Do not use Gigabyte's supplied hard drive controllers for your RAID setups! Its performance was ghastly. If you're not booting off of your planned striped array, considering letting Windows take care of it for you. A hardware approach ( like the ICH10 RAID controller ) may be more efficient ( but based off of the above results, that is just speculation ), but the big benefit of a Windows based array is that it does not depend on specific hardware. One cannot move a RAID 0 or RAID 1 array from one hardware controller to another, but if the array is managed by Windows, hardware in the computer can be upgraded without killing the array. 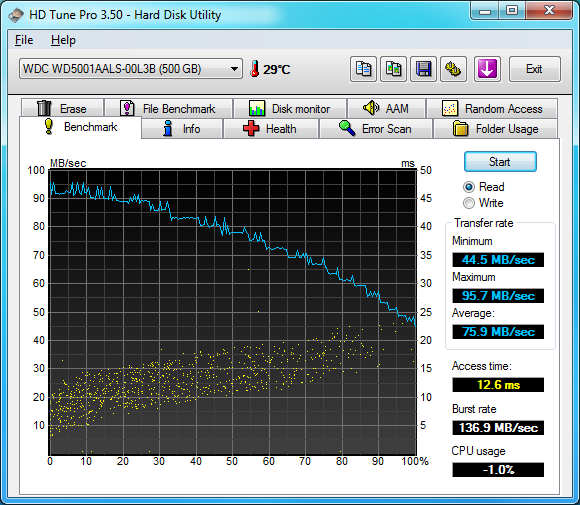 Could you provide CPU usage information on win7 software raid in this benchmark? Intel NIC faster than on-board Realtek?